Here’s another oil brush. I really must put the oils together in a collection. This one has a jagged flower petal pattern shaped brush stroke. 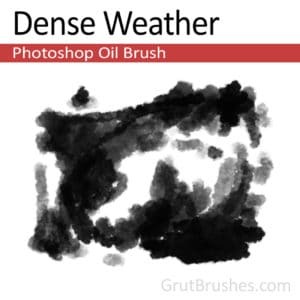 It’s a fairly wet diluted brush that can be built up to an opaque coverage. The diluted flow makes blending the surrounding tones together really easy. 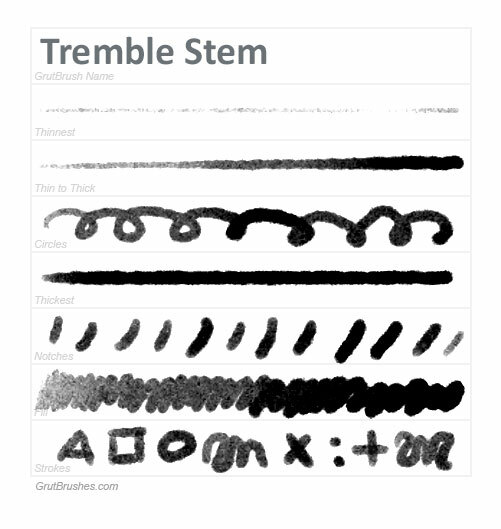 This brush is used to best effect by going over and re-working an area to diminish the appearance of the individual strokes and blend the areas together. 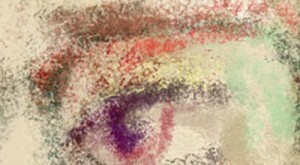 The distinctive pattern it produces when drawn in a line can be overpowering when not blended but really works to your advantage when re-working an area over a few times as the visible brush strokes maintain a painterly appearance and reduce the likelihood of all the strokes blending together too much and becoming a mushy blur so common with overuse of blender brush tools. If used sparingly you will always be able to maintain the visible strokes that will give your painting an impressionistic and organic feel. I hope to do a tutorial on how to best accentuate the oil painting look including adding a canvas texture but for now I’ll just say, paint on an Overlay layer and your background is important. If you watch the video at the bottom of this page, you can see that I paint most of it on an overlay layer, so that the canvas texture shows through the paint. Later, towards the end, I start painting on a normal layer, though with a light touch, to add a more opaque layer of paint in certain areas. ‘Dense Weather’ Photoshop Oil Brush. 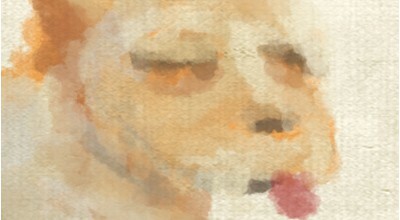 painting live with the ‘Dense Weather’ Photoshop oil brush video is sped up after the beginning. A Photoshop ink brush with a dry felt tipped pen appearance at low pressure but gives fully opaque coverage with a fuzzy edge at full stylus pressure. 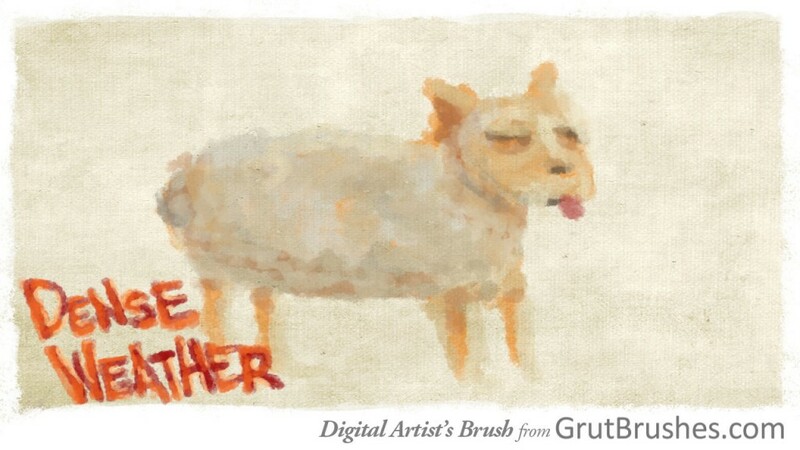 Download it for free in the brush shop until Monday! 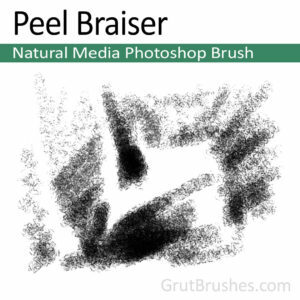 When I tell people about Grutbrushes they often say “Oh yes, I see tons of watercolor brushes on the web” Chances are they’ve seen the stencil type brushes that are made from a scan of one brush stroke that you can then stamp onto your image. 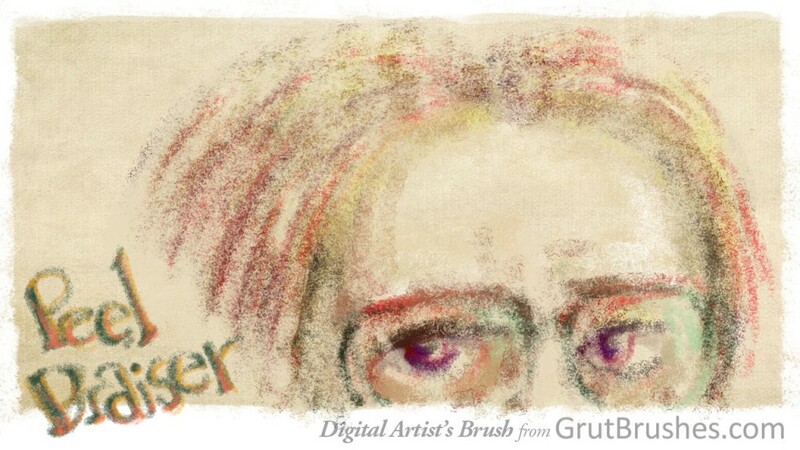 You can achieve some fantastic results with those brushes if used sparingly but the big difference, and it really is big, is that Grutbrushes are dynamic and respond to the speed, pressure and motion of your stylus on your tablet allowing you to actually paint with them and achieve organic lines that resemble traditional media. This video shows a side by side comparison between the free stencil type brushes found all over the net and Grutbrushes pressure responsive watercolour brushes made for digital artists. If you haven’t already, you can download a free watercolor brush here to try it out for yourself. There’s a new way to keep up with the latest Photoshop brushes, the Photoshop brushes board on Pinterest. This is a nice way to keep up to date via your regular Pinterest feed where every new brush will appear shortly after being published in the Brush Shop (which will always be the fastest way to learn about new brushes) where the brushes appear in order of newness. Together at last! Four realistic ballpoint pens for Photoshop. 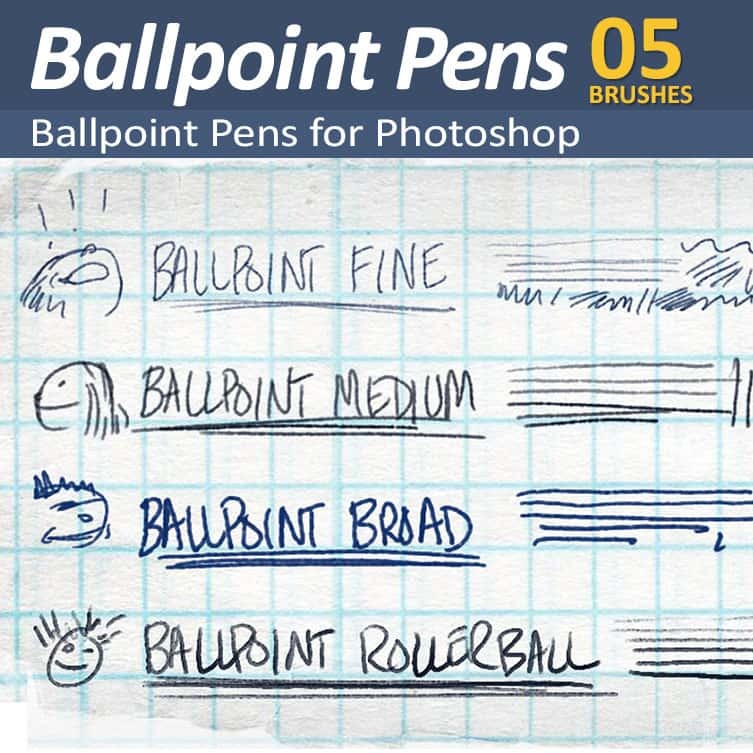 Pressure responsive and textured to appear like real ballpoint pens, these four Photoshop brush tools mimic fine, medium and broad ballpoint pens as well as a 4th rollerball pen tool that has that tell tale edge of the line ink pooling common to rollerball ballpoint pens.